Many Catholics say they “used to be Catholic” or call themselves Catholic but rarely if ever go to church. This anecdote is borne out statistically by the estimate that less than a quarter of Catholics registered at a parish in the Archdiocese of Philadelphia actually worship at Mass there on a given week. Reaching out to those inactive Catholics is the goal of “Bridging the Breach,” an evangelization initiative of Corpus Christi Parish in Lansdale that began with its first session Sunday, Feb. 10. Even before that, organizers knew that inactive Catholics had to be invited personally to share their thoughts and feelings about why they no longer practiced their faith. So a brief questionnaire was developed by parishioner Randy Pagnotta and 100 copies were left at the back of the church the week before. At all of Corpus Christi’s Masses that week, he and the pastor, Msgr. Thomas P. Flanigan, asked the parishioners to take a questionnaire home and give it to someone they knew who had walked away from their Catholic faith. All 100 forms were taken, and within a week, 12 were returned. 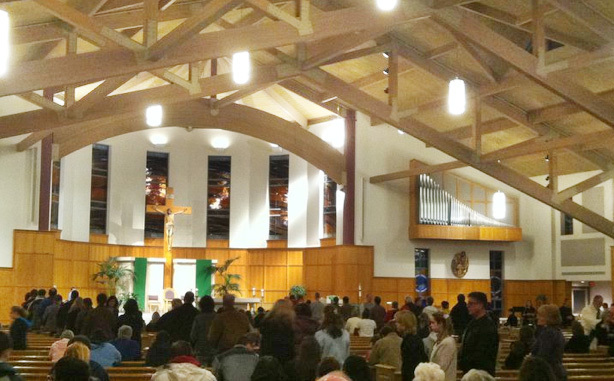 At the Feb. 10 meeting, two respondents came and talked with the Msgr. Flanigan and several parishioners including Anne DeSantis and Pagnotta, who spearheaded the effort at the suggestion and encouragement of the pastor. Pagnotta’s review of the returned questionnaires revealed that although some 72 percent had college and post-graduate degrees, their knowledge of the faith remained at a grade-school level. “Too infrequently we don’t mature in our faith, in our religion,” said Pagnotta, an information technology salesman. But he thinks it is also ineffective to try to teach heady theological concepts to people with little background or preparation for it. In other words, “You can’t take someone with an eighth-grade education and put them in a post-graduate program,” he said. Three key questions in the nine-point form asked respondents to describe their feelings toward God, toward the Church and toward Corpus Christi Parish. Of the latter, respondents described the parish as too big and unwelcoming – with a registered population topping 60,000 in 2011 (almost 20,000 families) and growing every year, it is one of Montgomery County’s largest parishes. Attitudes toward the Catholic Church in general were perhaps unsurprising. The clergy sexual abuse scandal topped the list of negative views, along with what Pagnotta noted as “political” stances on issues such as abortion and the HHS mandate, and perceived “opulence” of sacred art and artifacts in the church that might be sold and given to the poor. For Pagnotta, the views reflect a failure of the Church to communicate more fully its positive responses and contributions on each of the cited issues. Generally respondents indicated a positive disposition toward God. For a man trying to draw people back to a relationship with the Lord, Pagnotta found these responses encouraging. Overall he was “very happy” with the Feb. 10 session in which the pastor and parishioners answered some questions of the attendees but mostly just listened to them. “The people were honest, not disrespectful; they were courageous and frank,” Pagnotta said. The session was just the first of a six-week effort to catechize on topics including the revised translation of the Mass, a review of the teachings of the Second Vatican Council, the creed and the sacraments. It will conclude on Palm Sunday, March 24, as the parish prepares to welcome back inactive Catholics as a result of the work in the preceding weeks. The program, suggested as an evangelization resource by the archdiocesan Office for Life, Family and the Laity during a regional parish meeting last year, is seen as an ongoing effort not limited to the weeks of this Lenten season. Corpus Christi Parish is not alone in its efforts to spread the Gospel to people who might not be coming regularly to church. 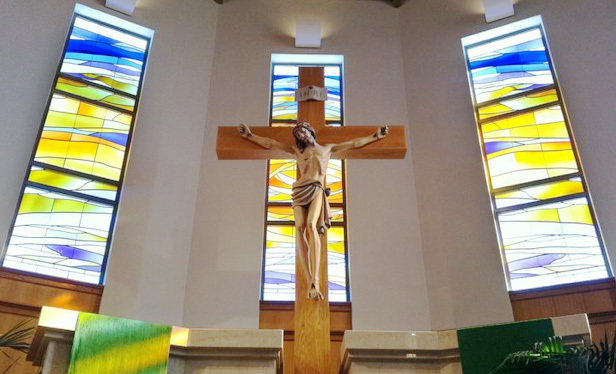 St. Norbert Parish in Paoli runs a similar outreach through its Ambassadors program, according to Meghan Cokeley, assistant director of the Life, Family and Laity Office. In addition, several parishes utilize members who evangelize through door-to-door visitation, including St. Francis de Sales in West Philadelphia, Our Lady of Hope in North Philadelphia, Immaculate Conception in Jenkintown, Our Mother of Good Counsel in Bryn Mawr and SS. Simon and Jude in West Chester, among others. While St. Joan of Arc Parish in Philadelphia reaches out to the parish’s Hispanic residents in similar neighborhood ministry, a new effort is planned for St. Veronica, Holy Innocents and Visitation B.V.M. parishes, all in North Philadelphia, for this summer. Teams of seminarians – two men each from St. Charles Borrmeo Seminary, and from the religious orders of the Redemptorists, Institute of the Divine Word and the Capuchin Franciscans – will blanket a given area of the parishes to evangelize and to gain experience working with Spanish-speaking people, according to Redemptorist Father Bruce Lewandowski, archdiocesan vicar for cultural ministries. Some in the Church have become like the government. They play a numbers game. My old Irish-Catholic grandmother born in 1888 always told me Figures don’t lie; BUT LIERS FIGURE ! Regardless of the level of understanding of the principles of the Catholic faith, the number one element that will determine when and if large numbers of ex-Catholics return to the Church in a practicing manner has to do with a single principle…………TRUST, i.e., trust in the leadership of the Catholic Church, locally, nationally and internationally. If only approximately 2545 envelopes are sent out per Sunday bulletin, How can there be close to 20,000 families and 60,000 total ??? What a wonderful concept. I am proud of my brother, Randy Pagnotta. More churches need to follow this wonderful idea. The catholic faith needs a lot of healing due to the abuse and what better way to address the issue and find out God is our main goal. He will take care of those that have wronged him. We need to follow him, pray for those who are weak and find ways to better serve the lord not make excuses to stay away. I am certainly going to pass this on to our church in Illinois. Thanks for caring about our faith. don’t waste their time or yours tell them what they must believe and why!!!!! TOO Many parishes have become social functions and have put aside the besic beliefs!!! !